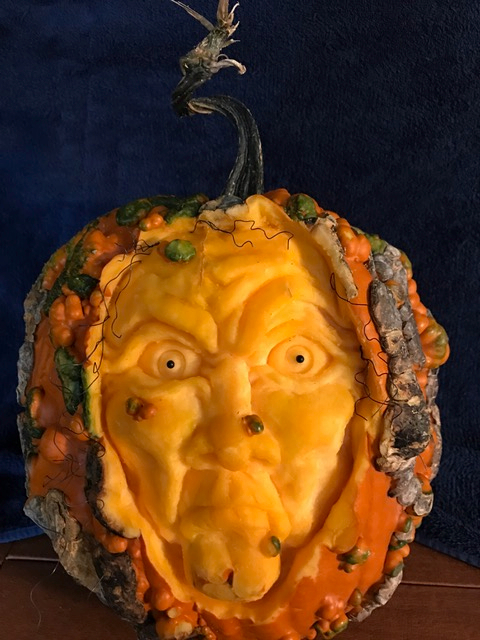 Most people try to avoid the pumpkins covered in warts when they pick out a pumpkin to carve, but this creative carver did something that took full advantage of them. They specifically picked out a pumpkin covered in warts so they could leave some of those warts on their final product to make a realistic and convincing witch. Great strategy for picking a pumpkin. Not so great strategy for picking a husband or wife.